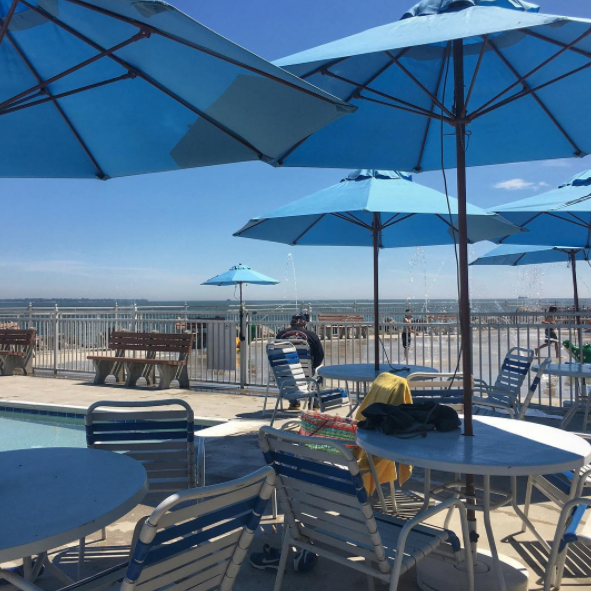 After the 144-year-old Lake Erie community Lakeside shut its beaches down a whopping 16 times in 2015 due to algal blooms, the Lakeside Chautauqua resort decided to open up a swimming pool. Lakeside Chautauqua CEO Kevin Sibbring told The Plain Dealer that for residents two years ago, "the pool came up as the No. 1 short-term need." Sibbring acknowledged that a handful of residents who were protective over the community's lake-centered nature disagreed, but said visitors have enjoyed both watering holes equally since the pool's opening this summer. "The timing was right," Sibbring said of the new addition. Lakeside had considered opening such a facility for years; ultimately, it cost $3.5 million, and was built alongside a 4,000-square-foot fitness center. Lake Erie has suffered from algae-related issues for years, and they're getting worse. They peaked in 2015, and the National Oceanic and Atmospheric Administration will likely update their 2017 predictions for the Great Lakes' harmful algal blooms next week. Lake Erie's toxic algae comes from phosphorous runoff that enters the water sources feeding the lake (more detailed explanatory video below). When Lakeside prohibited its residents from swimming in 2015, it was because they found microcystin in the water. The toxin can lead to skin irritation, vomiting or even liver failure. 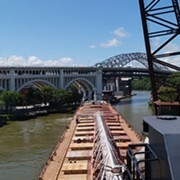 In addition to increased algal blooms, President Trump's recent proposal to slash the Great Lakes Restoration Initiative, which supports wildlife habitat preservation, water quality oversight and more, also galvanized the Lakeside community to participate in All Hands on Deck. 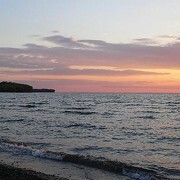 The event, spread across Great Lakes-area U.S. and Canada, involved over 1,000 residents holding hands on the community's Lake Erie shore to protest the legislation. While an official report has not yet been released, researchers are expecting an increased toxic algal presence in Lake Erie this summer due to increased phosphorus levels in the Maumee River, which flows into the lake. If you're planning on taking a dip in Lake Erie this summer, here's a guide to determine when it's safe.